Product code: ES7777 Categories: Sold Items, Sold Rings. Australian opals are regarded as the best in the world, and here is a very attractive antique 18ct yellow gold Victorian era opal ring made in 1896 and set with five lovely solid opals. The opals are beautifully matched in colour and all of them display a lovely fiery red through to blues and greens. With the largest opal in the centre, the side opals graduate down in size so elegantly. Measuring 7.7mm wide at the centre by 17.8mm across, this ring sits so well on the finger and is destined to be admired every time that it is worn. 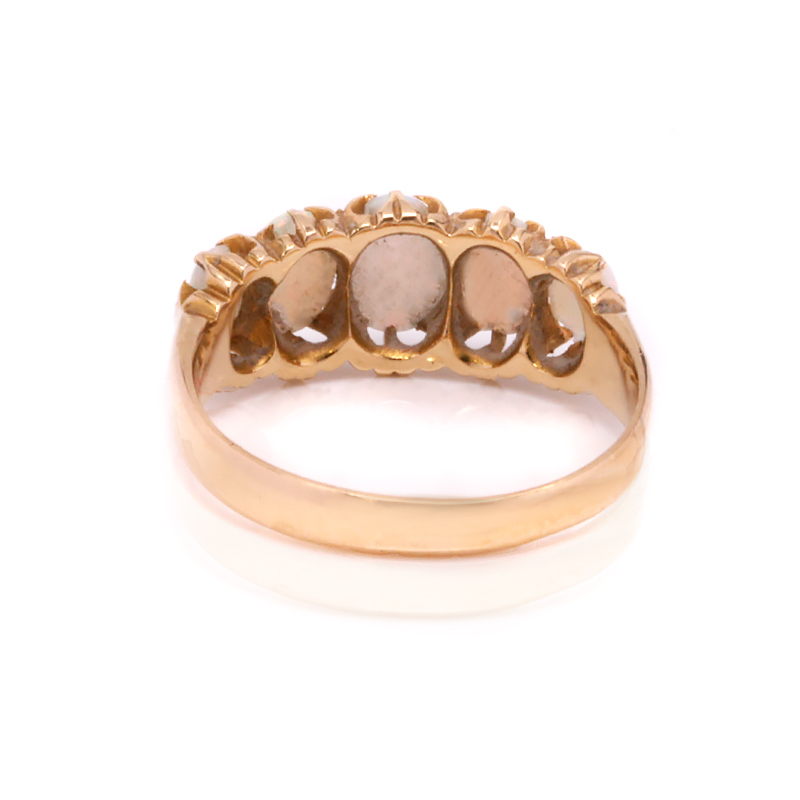 With lovely solid Australian white opals, this antique ring is just so elegant and refined. Set with Australian solid white opals. Australian opals are regarded as the best in the world and supply approximately 90% of the worlds opals. 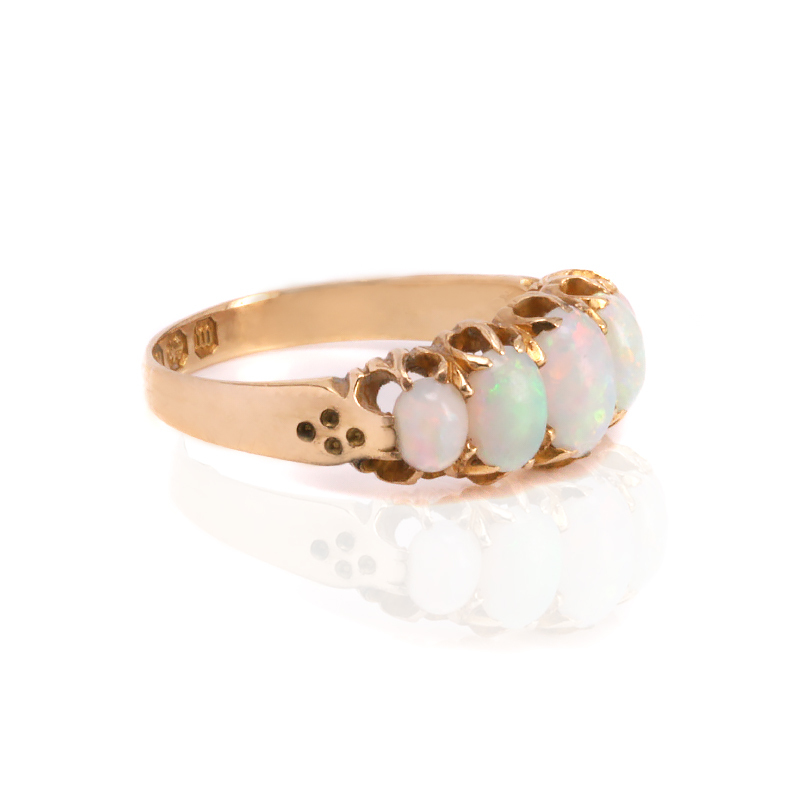 This antique opal ring is set with five perfectly matched solid opals.